My kids have been in a sandwich spread rut. They only ask for peanut butter and chocolate spread these days and I decided enough is enough. I am challenging them to suggest No PBJ and chocolate spread sandwiches or lunches starting today all the way until Friday next week to show them that they like many other things as well. One week of no PBJs and no Nutella sandwiches! Today they asked for tomato soup, grilled cheese and grated cheese to add to the soup which I packed in our EasyLunchboxes. I also added carrots and cucumbers and of course ice water and a yogurt. I will post a link up for Mondaynext week: Switch It Up Sandwich. and and dressings are allowed. 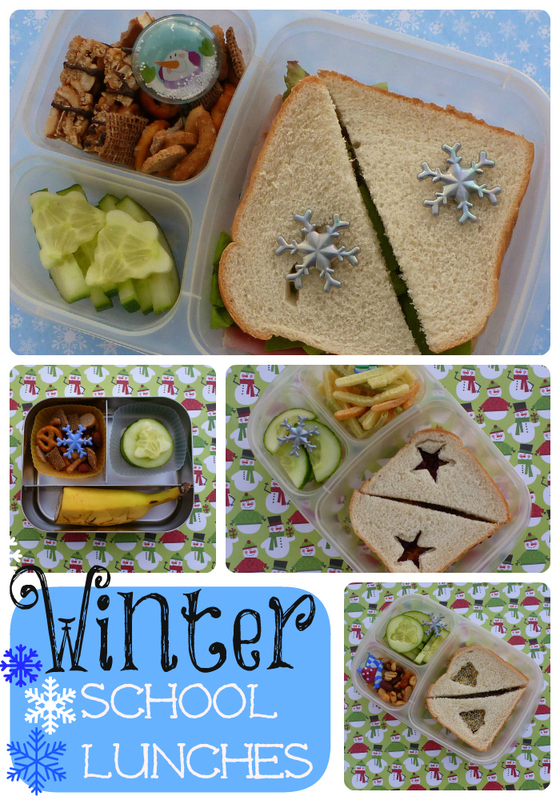 A Ham and Salad sandwich, cucumber slices and two Cucumber Christmas trees, snack mix with nuts and a cereal bar and as always an ice water and a yogurt drink. My 7 year old chose a peanut butter and jelly sandwich with star shaped cut outs, cucumber slices and veggie sticks. Packed as well with ice water and a yogurt drink. My 6 year old has a fairy bread chocolate spread sandwich, snack mix and cucumbers in addition to his ice water and yogurt drink. 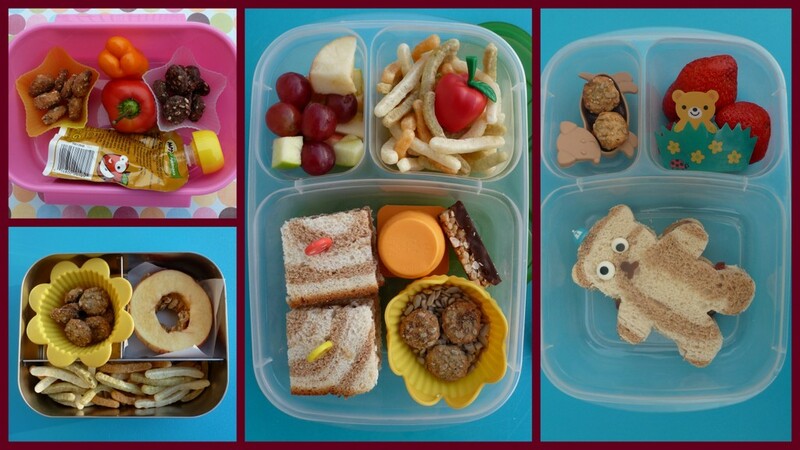 I also packed my 10 year old a snack in our Lunchbot Trio: a half a banana with stars (I just simply pressed my mini cookie cutter into the banana and it made a design), cucumbers with more Christmas trees and some more snack mix. Have you noticed that I am stuck between peanut butter and chocolate spread sandwiches? I sure do. So we announced this morning that those two choices are gone and we are packing some other foods next week. Their response: Excitement! They already chose grilled cheese sandwiches and tomato soup for tomorrow - so stay tuned! What do you think? Would you like to participate in a one week no peanut butter/Nutella/almond butter/ chocolate spread challenge and post your lunches on my Facebook page to keep each other motivated? 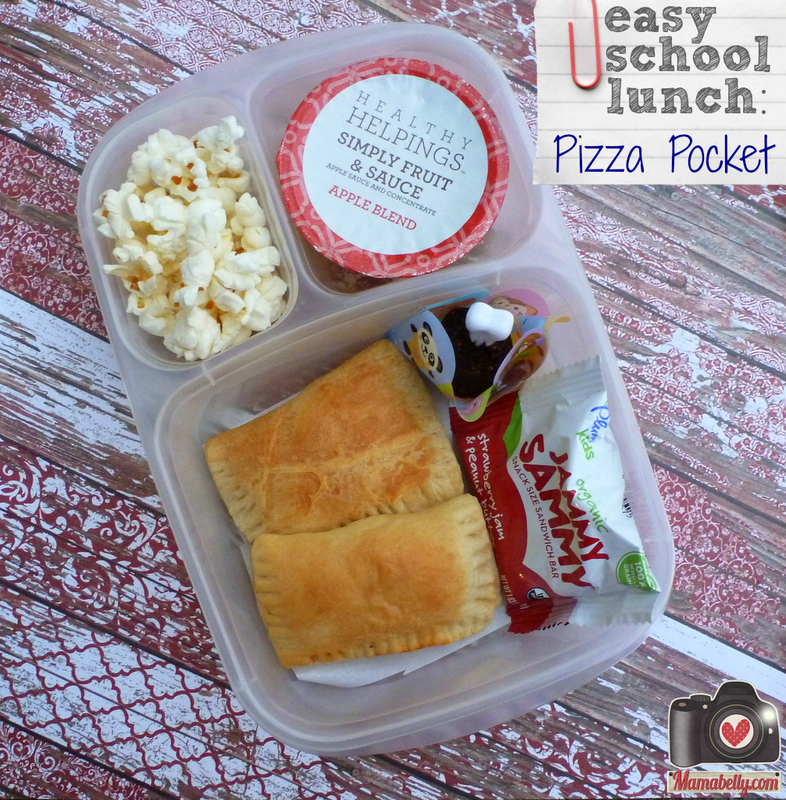 We returned yesterday from visiting family and after a long trip in the car we needed a quick dinner and an easy lunch box idea for the next day. I remembered that MOMables.com had a Pumpkin Pancake recipe but when I checked my pantry I did not have all the ingredients. So I improvised ;) Find the recipe below! I packed left over Pumpkin Belgian Waffles lightly sprinkled with powdered sugar, a small containers of cashews and a fruit&veggie fruit snack and grapes. I also packed a drinkable yogurt and ice water. Ready for a quick and easy Pumpkin Recipe? I mixed the Belgian Waffle Mix according to instructions. I then added the pumpkin puree and mixed it well. Lastly I added the vanilla sugar, cinnamon and nutmeg. 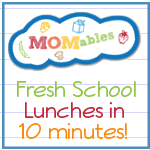 And if you don't know about MOMables.com yet, please check them out and get a free week of menus! If you still need a quick and easy lunch idea for your kids why not try to make a pizza pocket Turkey! I made those for my kids and they loved choosing their own filling. Also a great idea for Thanksgiving left overs! Just fill with turkey, cranberries and stuffing, yum! 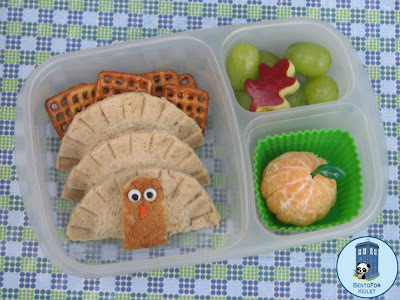 I packed our EasyLunchboxes with apples slices and grapes for lunch and made pizza pocket turkeys. I followed my earlier tutorial but instead of rectangular pockets I used a circle cookie cutter and made 8 large circles. I filled one circle with the desired toppings (1 tablespoon pizza sauce, turkey pepperoni and cheese for example) and pressed the second circle gently on top and used a fork to seal the two together. I used two cans of dough for five large pizza pockets and five turkey neck breadsticks and still had some left overs for a few mini breadsticks. They needed about 15 min at 350 degrees to bake. In the meantime I cut eyes and wattles out of pepperoni and then stuck them to the hot breadsticks. Today's lunch is an CuteZCute Angry Bird Pig chocolate spread sandwich, Angry Bird crackers with a cheese stick, a cereal bar, sunflower seeds and some fruit snacks and a yogurt as well as a bottle of ice water. 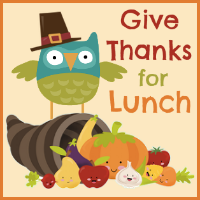 I also packed a lunch around Halloween containing a pretzel roll with cold cuts, cheese and lettuce, a cereal bar, cheese and crackers, oranges and apples and a vanilla yogurt as well as ice water. The first thing I noticed packing the lunchbox is that it has very deep compartments and you can fit a lot of food - which is perfect especially for my 5th Grader. I also liked right away that there was a space for the water bottle and that the bottle is stainless steel. 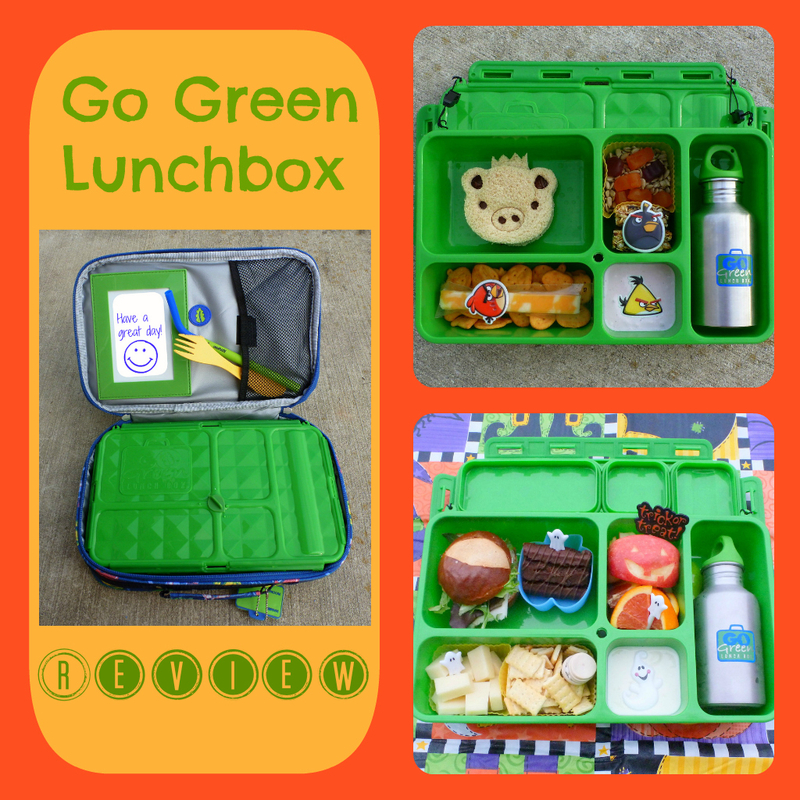 My boys really like the cool carrying case and even though it is not washable so far we had no issues since the lunch box is leak proof. I really liked that it comes with a name tag since things do get lost and this tag matches the carrying bag! Another neat feature is the little white board in the lid of the carrying bag. You can write your child a sweet note and have enough room to include a spoon, straw or napkin. Also perfect for lunch notes! 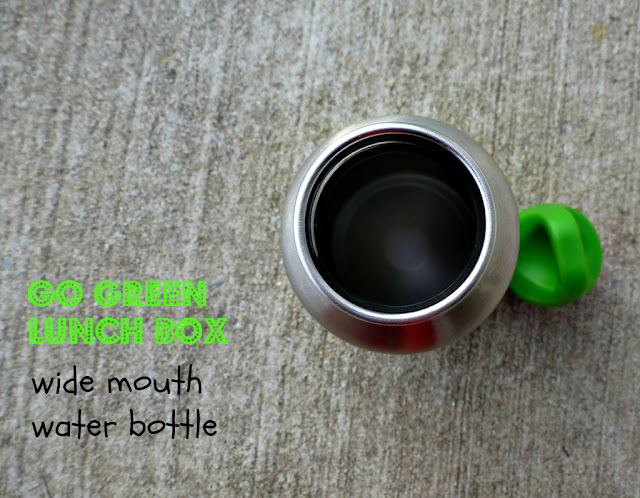 My older kids really liked the wide mouth water bottle and I liked how easy it was to add ice. However for the little kids (3 and 5) it was hard to drink out of and I switched out the water bottle with one with a spout for now until they get a little bigger. 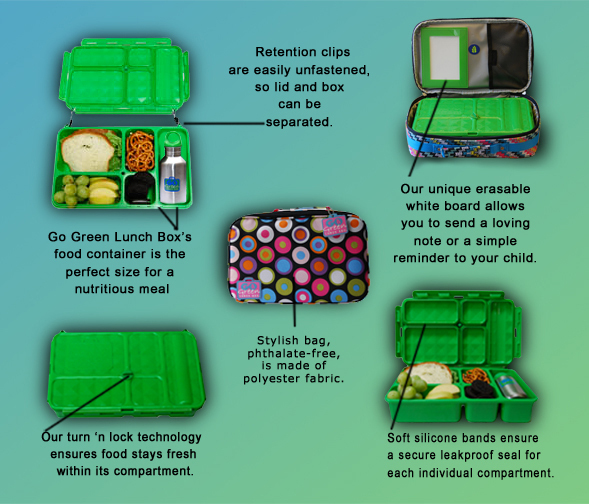 There are so many great features this lunchbox offers like the secure leak proof lid, the turn 'n' lock technology that keeps food fresh and the retention clips that help keep the lid attached to the lunch box. I would love to have the option to buy a water bottle with a spout for younger kids. This can be easily solved however by swapping out water bottles until they are older. The lid is not dishwasher safe and you have to remove the silicone bands when washing. It does not take long however and since I wash several lunch items by hand I do not mind. I am thankful for so many things in my life but the most thankful I am for my family. 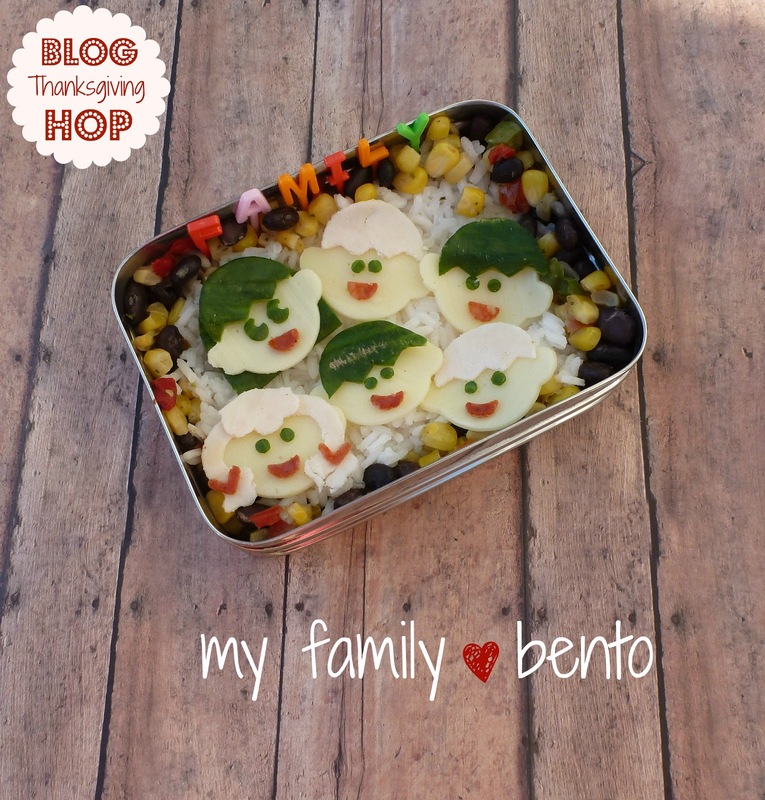 They have supported me daily by eating my bento creations, dealing with my bento gear all over our kitchen and by sampling new recipe ideas. Thank you for helping me start my Facebook page and liking all my posts! Thank you for commenting on my blog and for encouraging me to keep going! Thank you for long phone calls about photoshop and other picture editing programs and for simply listening when I am over the moon that someone retweeted me! Thank you for supporting me in my passion! But most of all thank you for enjoying the fact that I make you lunch ~ I love you! This bento was packed in our ECOlunchbox and I packed it for myself - but don't worry! I still fed the kids ;) I packed them fairy bread by request :) I packed white rice, and vegetables (black beans, onions, corn and peppers) as well as my wonderful family made out of cheese, chicken, turkey pepperoni and cucumber skin. I have a cutter that you can use to piece together faces, hair and arms which I used to create this bento. Today was another dreary and rainy fall day and since I was up early I decided to pack something hearty for lunch. 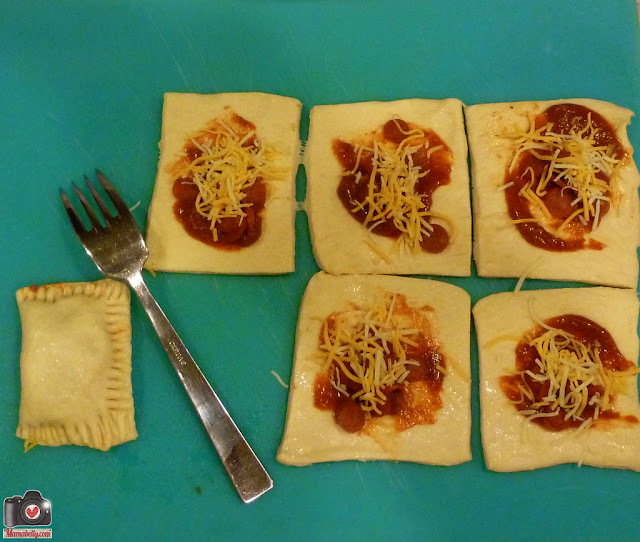 I still had a tube of Pillsbury recipe creations and decided pizza pockets would be fast and fun! 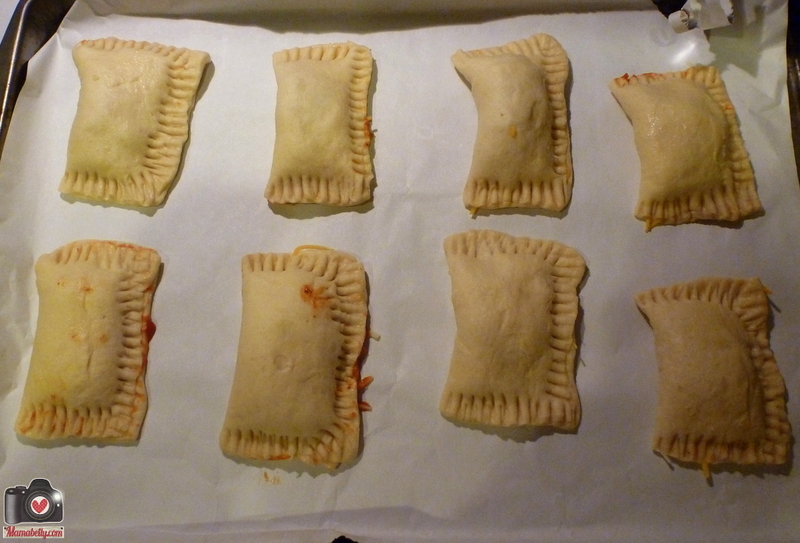 I unrolled the dough and cut it in 8 rectangles. I then added a small amount of pizza sauce (a staple in our house) and some mini turkey pepperoni to the dough. I topped it with cheese, folded them over and used a fork to press the dough closed. Very easy and fast and you can fill these pockets with anything you have in the fridge - ham and cheese for example. I put them in the oven at 375 degrees for about 15 minutes. The house smelled so good when they were done and the kids were excited that they got to bring a special lunch today. a Choco Hail Merry Macaroon! They are so so good and raw, gluten-free and vegan! I added a cute tooth pick since we celebrate all lost teeth. Update: The Pillsbury Recipe Creations contains food dye. I did not see this until after I posted. I have looked and found several dye free alternatives including Pillsbury Artisan Pizza Crust with Whole Grain. If your child needs to eat food dye free - please substitute! Today's post is all about comfort food. I am a big comfort food person myself and love all things that are sweet and warm and smell like home. 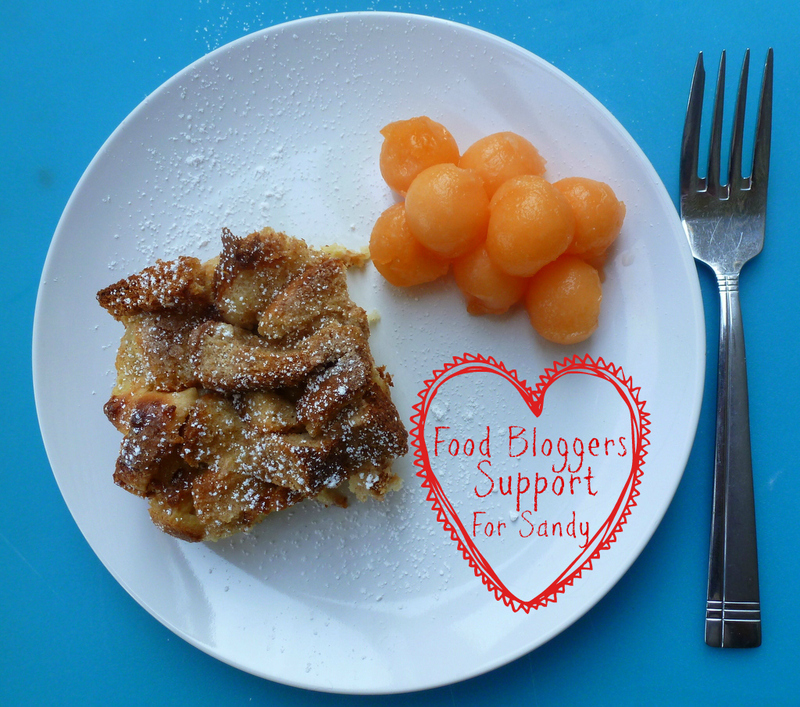 I am posting my French Toast Casserole Recipe today for a very special cause - Food Bloggers Support for Sandy. 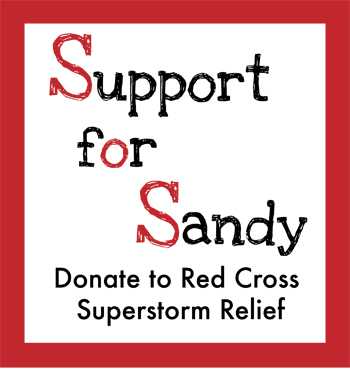 I came across the Creative-Culinary Blog and her idea to help the victims of Storm Sandy by posting comfort food recipes and urging reader to donate to the relief efforts. I have been reading about all the devastation and felt the need to help. I have heard first hand accounts from friends and family and the devastation just grew with the second storm hitting this already hard hit area. So please. Every little bit helps. Even $1 or 2 can make a difference if we all give a little. Please donate and help those who have lost so much! Melt 2 tablespoons of butter in your casserole dish. In large bowl mix beaten eggs, milk, 2 tablespoons of sugar, salt and vanilla together. Then add 1/3 cup of pancake mix and mix well. Carefully add bread to mixture and coat well. Add to buttered casserolle dish. sprinkle with remaining sugar and cinnamon to taste (I add the rest of the sugar mixed with 1 teaspoon of cinnamon). American Red Cross is providing food, shelter, and other forms of support to hurricane victims. You can donate directly to the Red Cross or you can also text the word “Redcross” to 90999 to make a $10 donation. The Salvation Army is also focused on providing food, shelter, and support to victims, and takes donations for storm relief. Feeding America is providing food, water and supplies to those who need it as part of their disaster relief program. We still have a couple of sick kids at home so I only made two lunches today. And they are all about apples. 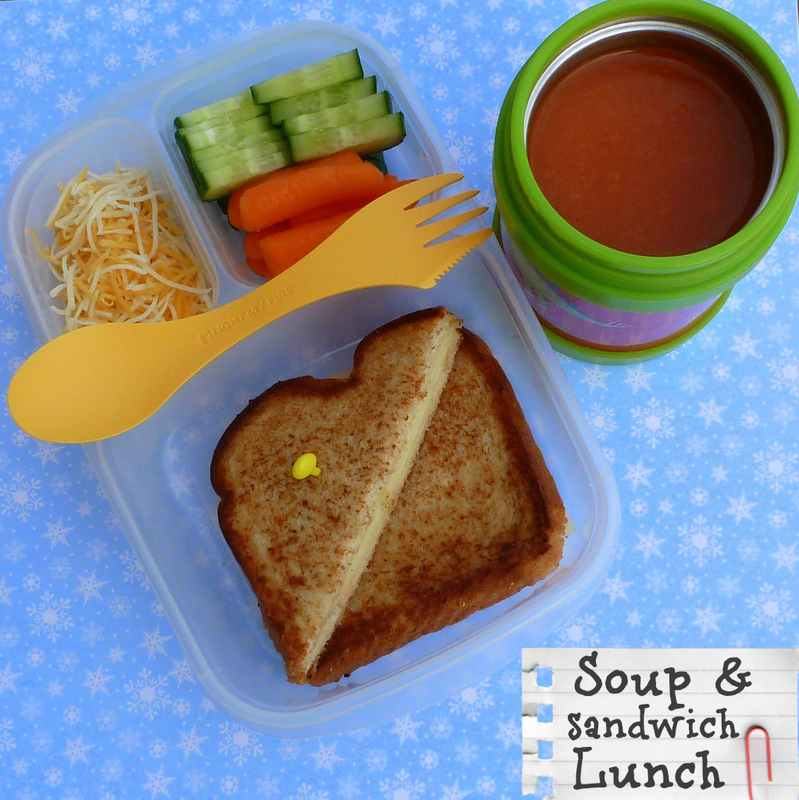 We packed an apple shaped Sunbutter and Jelly sandwich in our Easylunchboxes, cucumbers and an all natural strawberry applesauce. As always there is also yogurt and water. We packed two apple shaped Sunbutter and Jelly sandwiches in our yubo lunchbox, an apple cereal bar, apple chips and all natural berry apple sauce. With a couple of picks and an apple ring a very simple lunch is all dressed up. The first day back to school after Daylight Savings is always a little harder since my kids need time to adjust. Two of my kids were up very early and two slept in - so lunch today was very simple. CuteZCute Sunbutter and Jelly sandwiches, popcorn chips, applesauce and a granola bar. Two Sunbutter and Jelly CuteZCute frog sandwiches, popcorn chips and a few mini peppers. I also packed water and a yogurt. Applesauce, more popcorn chips, a few dye-free chocolate Animal crackers, a CuteZCute frog fairy bread and apples in our Goodbyn. I also packed a snack for my 5th Grader in our LunchBot Trio: trail mix, Somersault Salty Pepper crackers and apple bunnies. I found a great tutorial on how to make apple bunnies HERE. This is the sky as the kids were leaving for school today - beautiful. We woke up late this morning - it has been a long week - and we did not have as much time to pack lunch. So we packed hummus and pita chips, a ham and spinach sandwich with a star cut out and some chocolate covered raisins from the Halloween loot :) As always they also have water and yogurt. My second grader has a very similiar lunch with hummus, pita bread and fairy bread and a mini chocolate tucked in his lunch box, too. I was a little more creative with my first garder since he has not been eating a lot and I wanted to make lunch fun for him. We packed a triple CuteZCute chocolate spread sandwich, some dye-free chocolate animal crackers and a peanut butter and yogurt bar. I also packed him a juice instead of water today since I felt he needed it. The Somersault Snack Co. generously sent me a box of their amazing snacks. We are already big fans of Somersaults but we had not been able to try all the different varieties and were therefore so excited to be able to do a review and a GIVEAWAY! Look at this beautiful box! If you would like to win a box of your own enter my giveaway at the bottom of this post! I love these individual packs and will make sure to stock up on those before our next longer car trip, picnic or museum outing. Handy and Healthy! So why do you ask do I love these snacks so much? Well first of all I love that these snacks are all natural and made with sunflower seeds. Sunflower seeds have 50 % more protein then many other nuts like almonds, walnuts or pecans but only half the fat and six times more Vitamin E. They are also high in folate and even have more fiber than an apple. What does all this mean for you? 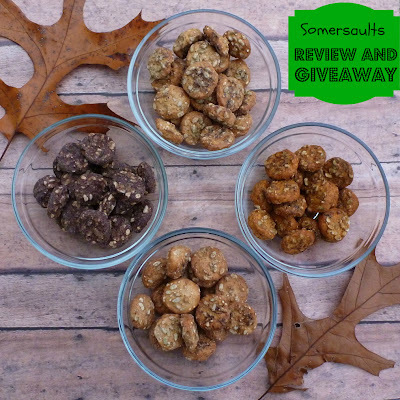 Somersaults snacks have 6g of Protein per serving, no cholesterol, are a great source of fiber and vitamin E and are nut free and delicious! As you can see we love Somersaults and use them nearly every day in our snack boxes, lunch boxes and even on the go! And how do these amazing Sunflower seed snacks taste? In one word: yummy! We already love the Pacific Salt ones for their nutty and slightly salty taste and the ability to stop your snacking urge with just 14 pieces and under 150 calories! So we were eager to try all the other varieties as well and we love them all! Salty Pepper has spice and taste great by themselves or with cheese, yum! Sante Fe Salsa has that zing I crave on those cold rainy fall afternoons and a have great salsa flavor! My kids' favorite Dutch Cocoa and Cinnamon Crunch are slightly sweet but still have the nutty goodness of a healthy snack. Hands down our savory favorite is the Pacific Sea Salt and our sweet favorite was Dutch Cocoa, mhm, mhm, good! Please leave me your email address so I can contact you if you win!